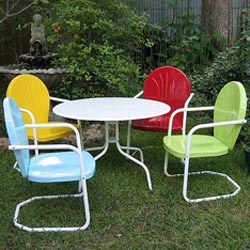 Are you looking to purchase a new patio furniture set this season? Did you ever consider selling your old furniture as scrap metal? Of course there are some requirements before receiving your payout. 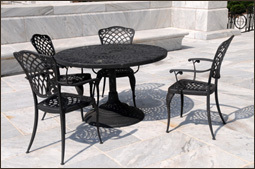 These are usually the only materials besides plastic and wood that patio/outdoor furniture is usually made out of. At Upstate Metal Recycling we take great pride in taking your collected scrap metal. If you’re interested in recycling your own scrap, bring it to Upstate! We’ll recycle your scrap while giving you the best price in exchange! 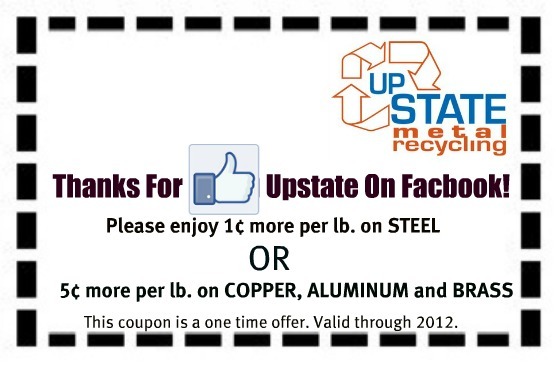 Upstate Metal Recycling will take your steel, aluminum, brass, copper, electric wire, cars, shingles, etc. You can even ‘Like’ them on Facebook for a coupon on your next visit to the yard. We’ve had a crazy couple months at Upstate! But don’t get us wrong, crazy isn’t always a bad thing! Business has been booming with the prices of copper and aluminum on the rise, but we’ve also taken on a fairly huge project. When we say fairly huge, we mean almost giant. Over the past few weeks we have been busy cutting down the water tower on the corner of Carroll and Lima Roads. This water tower could hold up to 400,000 gallons of water at a time, but unfortunately its water holding days are over. With no use for the tower, it was time to demolish. At first, Upstate’s owner, Marty Henry was apprehensive about involving the press because of liability issues. But to all of our surprise, the press made their appearance without any help from the business. WANE TV even caught the tower tumbling on video! 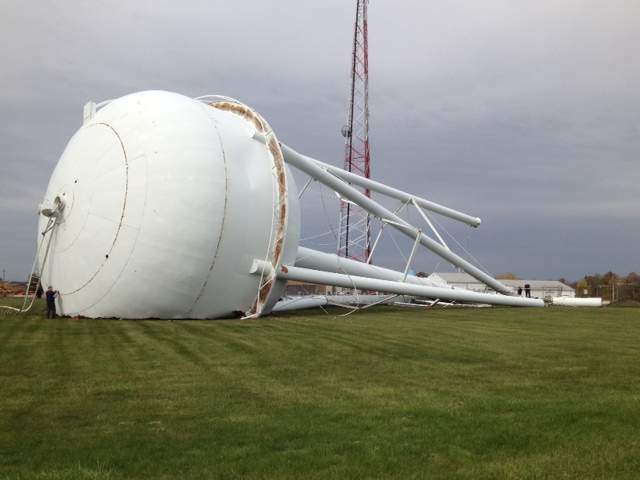 Thankfully, the water tower came down without any issues and work started immediately. It’s nice to know that the Fort Wayne/Huntertown areas are trying their best to keep the business local. Thanks, Fort Wayne!